The Endeavour series of sleeping bags are the perfect solution for those looking for technical performance and comfort. Combining lightweight, durable polyester fabrics with the warmth of our very best Inso/Therm synthetic fill to ensure you get the best nights sleep. 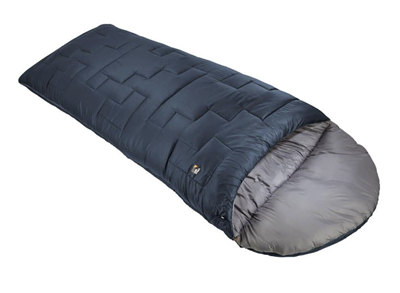 A fantastic series of 3/4 season sleeping bags perfect for all round use. 350g Inso/Therm polyester synthetic fill combined with an offset double layered construction offers amazing warmth and comfort. Polyester microfibre embossed outer and soft polyester inner are both light, breathable and durable. Square shaped fit offers great freedom of movement during the night. Box storage bag allows the bag to be easy stowed in between uses.